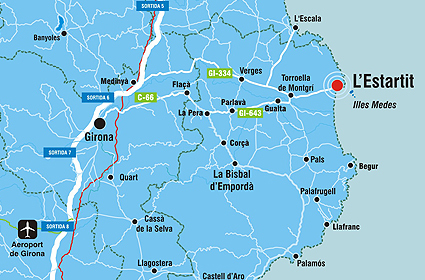 To arrive to Estartit there are various options by car www.michelin.com motorway A/ exit 5 (L’escala) exit 6 (Girona North) Exit 7 (Girona South). By plane from Europe www.ryanair.com. to Girona or Barcelona airport.